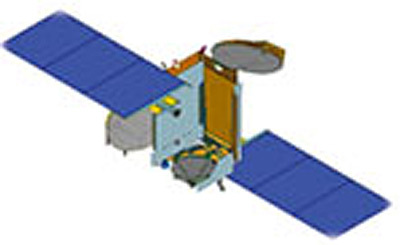 GSAT-20 is an Indian geostationary Ka-band high-throughput communications satellite. GSAT 20 is built on the I-3K unified modular bus and features a Ka × Ka high-throughput communications payload with 70 Gbps throughput utilizing multiple spot beams providing broadband services across the Indian region. The satellite was originally planned to be launched not before 2020 on a GSLV Mk.3 (2) launch vehicle, but was brought forward to a 2019 launch on an Ariane-5ECA. GSat 20 - 2019 Ko ELA-3 Ariane-5ECA with ?